This past weekend I made matching bentos for my daughter and myself. She was at a church function during the morning, then we headed to a coworkers house to pick up some furniture for our new place, so I figured a colorful bento would be a nice treat during her busy day. 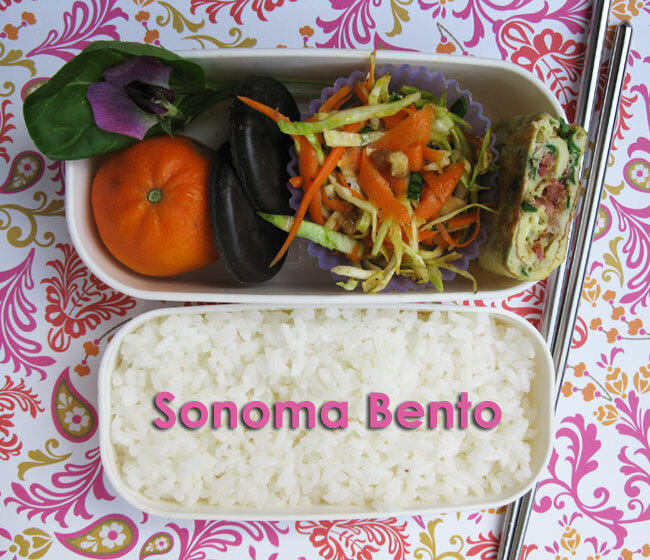 In this bento: a tangerine from Schletewitz Family Fruit Factory, a sweet pea blossom on a tatsoi leaf from Earthworks (a new vendor at the Santa Rosa Original Certified Farmers Market), two Girl Scouts thin mints (! ), carrot salad made with carrots, cabbage, green garlic from a vendor at the Santa Rosa Original Certified Farmers Market (I didn't get their name, sorry), and walnuts from the Sass Family, plus tamagoyaki made with a Sonoma Valley egg, tasso ham from Franco Dunn, and more green garlic. The lower compartment is just rice. YUM. 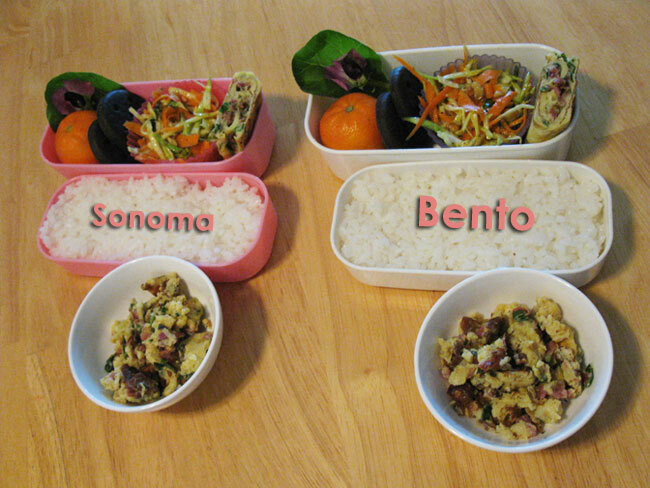 Here are our two bentos side by side. There's a little dish of my first attempt at tamagoyaki, which turned into scrambled eggs. :) Not enough oil in the tamagoyaki pan. 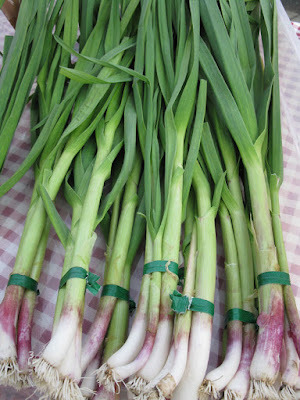 Green garlic from the Santa Rosa Original Certified Farmers Market. 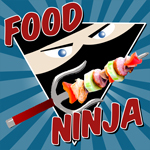 I have been keeping my eye on tweets by the amazing Maki of Just Bento, watching the events unfold in Japan. 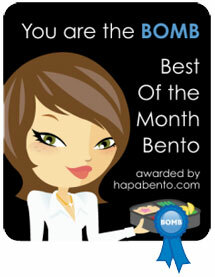 The world is a smaller place and my heart feels bigger today, making room for my bento friends and their families. Donations can still be made to help Japan in the aftermath of this tragedy. Visit your local Red Cross or try ifrc.org to help. Sweet mother daughter bento sets! Small world indeed. Getting smaller by the day. Thanks sheri! My daughter sucked this bento down with amazing speed, even though she had eaten pizza at her church function. Growing girl! Thanks Yenny! I felt good about making a delicious lunch for my little kid. She's pretty awesome.